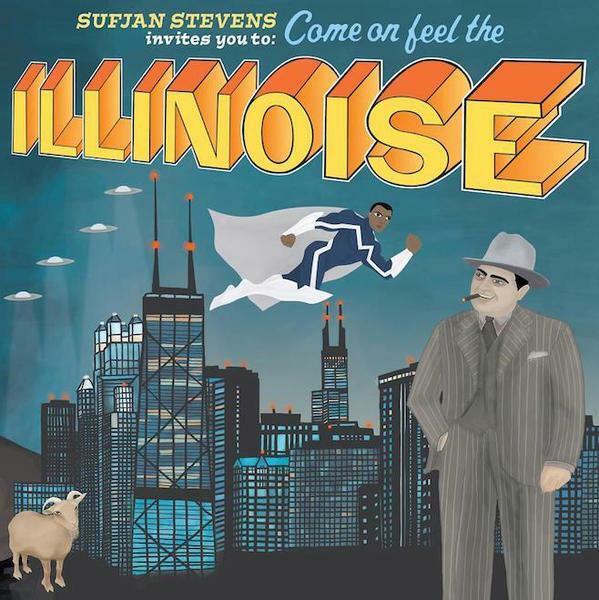 In a moment of madness that he must now be regretting, Sufjan Stevens declared back in 2003 that he intended to record an album based around each of America's States. That's right, all 50 of them; now there's a concept for you! 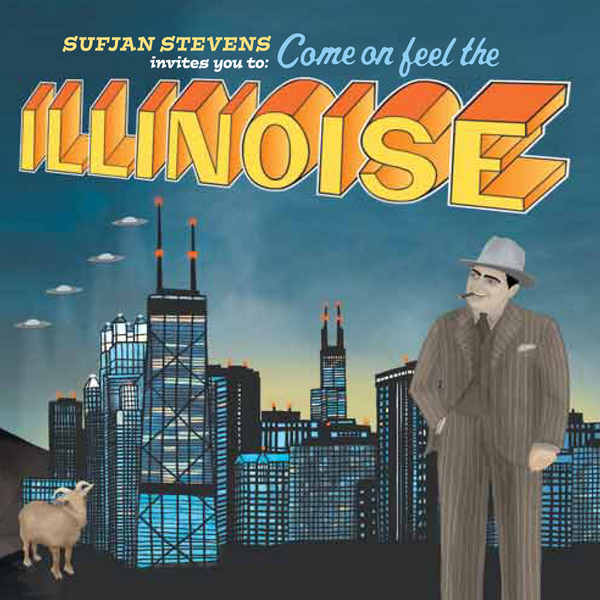 Following on from the inaugural 'Michigan' release and last years much lauded 'Seven Swans' (a State I'm not familiar with...), Steven's gaze has settled on Illinois, allowing him to indulge in a title SO funny you may need resuscitation. Honestly. 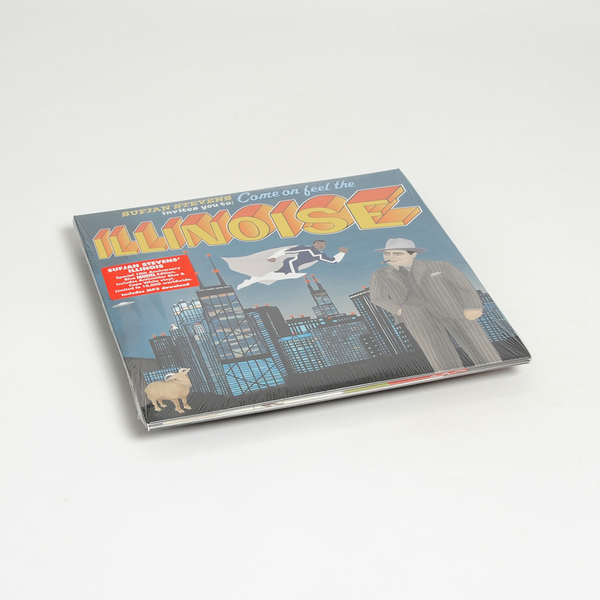 With 20 tracks that are rooted in either specific destinations (such as Chicago and The Seer's Tower) or events (historical, contemporary and personal), 'Illinois' is a massive undertaking which sees Stevens relinquishing his loner habits to draft in a full band. Opening with 'Concerning the UFO Sighting near Highland, Illinois', Sufjan indulges in some Elliot Smith style intimacy that works beautifully, especially when drawn into contrast by the pithily titled big band stomp of 'The Black Hawk War, or, How To Demolish Entire Civilization and Still Feel Good About Yourself in the Morning, or, We Apologise For the Inconvenience but You're Going To Have To Leave Now, or I have Fought The Big Knives and Will Continue to Fight Them Until They Are Off Our Land'... Still with us?! Elsewhere (and I'll paraphrase the titles from hereon in) 'Come On Feel The Illinois' is a sugary wall of sound that won't spoil your appetite, 'Jacksonville' is a cascading banjo led arrangement of beautiful rectitude whilst 'The Seer's Tower' is four minutes of mausoleum fragility and Wilson melodies that can't help but tingle the spine. A Fabulous album from one of the most brilliantly talented singer-songwriters of our age ? Buy! 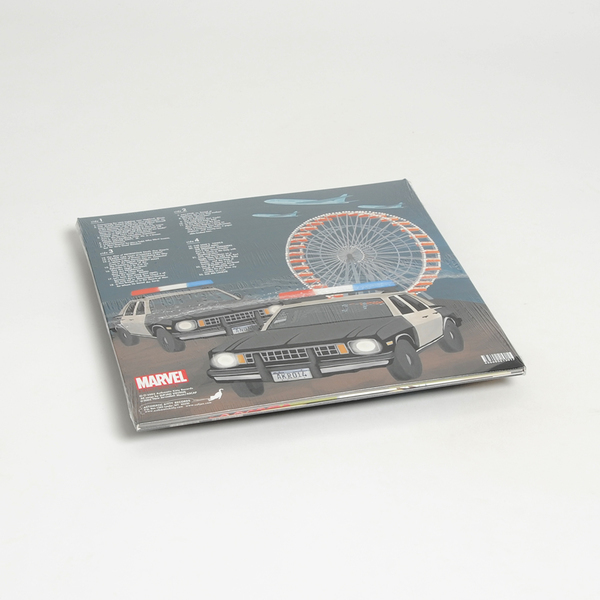 Limited edition trifold 2LP on "Antimatter Blue” and “Cape White” vinyl. Includes download code.